The project for indoor trampoline park DLT1628 in Canada,the mainly act-ivies are including Dodge ball,foam pit,free jump,professional trampoline,slam areas with basketball stand,Ninja course,indoor playground and ect.We also have other act-ivies for your options in trampoline park,such as climbing wall,handball,jumping wall,battle beam,clip areas or per your customized and so on.We will full use your location and customize the trampoline park per your budget and requirements,so that to save your money and meet the ASTM standard,market requirements and safety factors. Kids Toy Trampoline park With Ninja Warrior Course,Best Factory price indoor trampoline park for Canada established in Canada,made by Dreamland playground Company limited.The raw materials for trampoline park are high quality and good warranty.Galvanized steel is thick than normal steel.There will be five years warranty.Jumping mats imported from the USA, there will be two years warranty.We will send some more spare parts for you to replace and repair.If you don’t know how to replace the parts or any problems,just contact us free directly.We will try our best to help you solve it. We used the best material just for your safety. 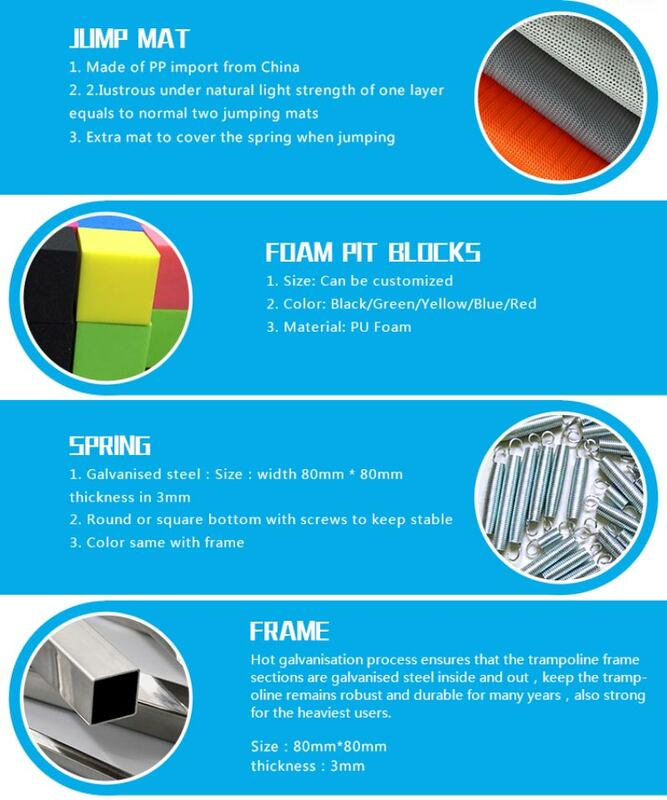 Our products trampoline park now is selling to all around world, most are in Australia, Europe, USA, South Asia, South East Asia, Middle East ,etc .Our aimis to satisfy our clients. Let Dreamland Playground work with you,your money in safe,your business is safe. Dreamland Playground Co. Ltd. is a gold supplier for indoor trampoline park,indoor playground&outdoor playground in China at your service.We can customize the trampoline park with complete services,including design,production,shipping and installation.Our products have been approved by CE, SGS, TUV and ASTM.We have various project in different country for many years with rich experience..